There is another difference. Grunwald says Gore is also adding reasons for hope. But here, if you will allow me some doom and gloom, I’m focusing on one of the more apocalyptic extracts of the interview because it is so much in line with the new evidence I added to my chapter on global warming, and in particular the emphasis on rising sea levels. The most controversial sequence of ‘An Inconvenient Truth‘, the Oscar-winning documentary about Gore’s slide show, was an animated illustration of how the combination of rising seas and worsening storms could flood the Ground Zero memorial in Manhattan. At the time, even the official estimates for sea-level rise were relatively modest because the models on ice melts were still hazy. 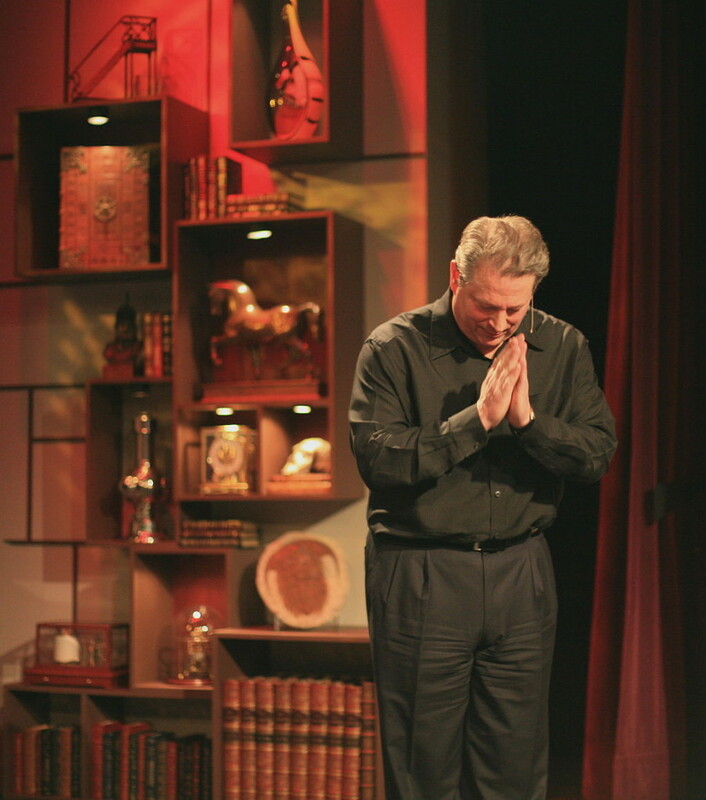 In his Miami presentation, Gore recalled how critics attacked him for outrunning the established science. “They said: ‘That’s ridiculous, What a terrible exaggeration,’” he said. 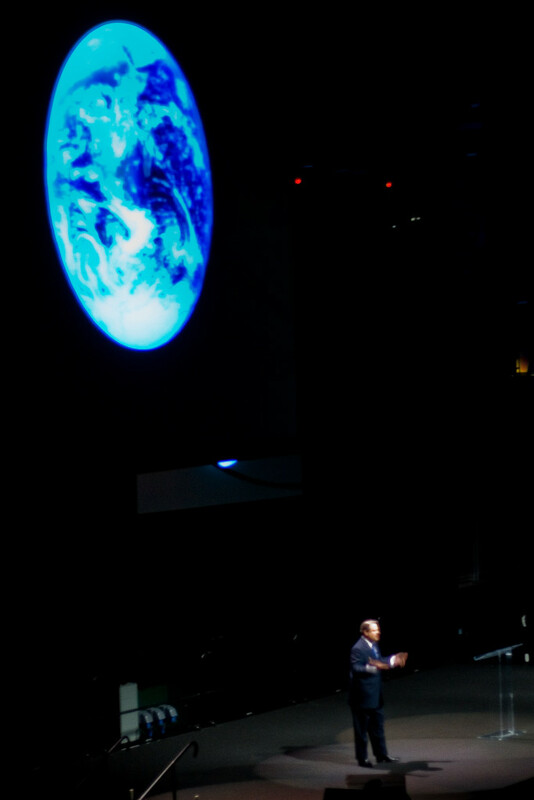 On cue, an image of Obama appeared on the screen behind Gore, warning of a devastating storm threatening the Northeast followed by a series of images from Superstorm Sandy. There was a clip from New York Governor Andrew Cuomo’s news conference: “The Hudson River was pouring into the Ground Zero site.” Gore doesn’t explicitly say he told you so, but that’s a major theme of his slide show. The rest of the interview is well worth reading including the comments on Gore’s struggle with despair and hope. That strikes a chord with this grandfather who ends the book with a cautious note of hope – I would love the doomsday scenario to be proved wrong. But as you will see in the book I also believe we can only avert disaster if we act today. We really don’t have much time left to make the vital difference for the world we leave to the next generations.